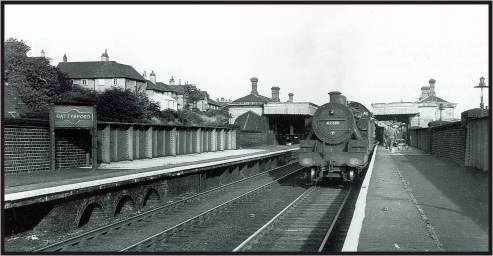 Battyeford seen above in the 1960's when under the control of British Railways. The bottom picture is much earlier from the days of the London & North Western Railway. 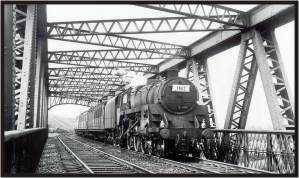 The 267 feet girder bridge on the left crossed the River Calder from Heaton Lodge. The valley was then spanned first by a stone viaduct of 89 yards and then a longer 193 yard section built of blue engineering brick. The latter crossed Huddersfield Road next to the Maze 'n' Fair Restaurant. 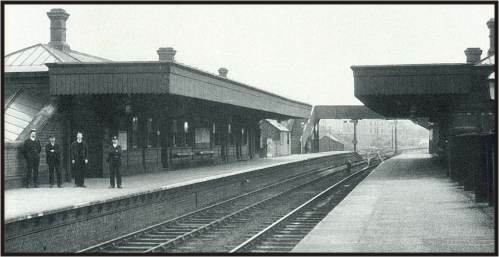 The station's platforms extended out over the road on to the viaduct from behind where these other photographs were taken from. After its demolition parts of the girder bridge were re-used in Southern Ireland.